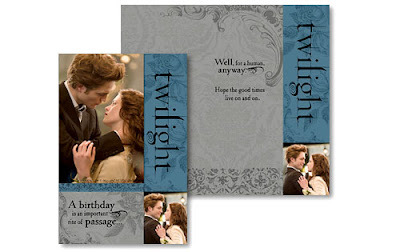 Twilight and New Moon Hallmark cards. Silly you say? How many products can they produce you say? Will the sellout never end you say? I say I want one. For every holiday they're offering them. Must get Mr. W on it. 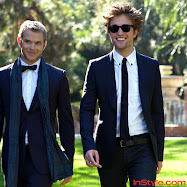 Perhaps they come with Robward in a box with a bow. Yeah, Mr. W probably wouldn't go for that. See them all over at E!Online. I totally *heart* them! My friend Fire Crotch had a birthday earlier this year and I searched desperately for a Twilight related card to give her! 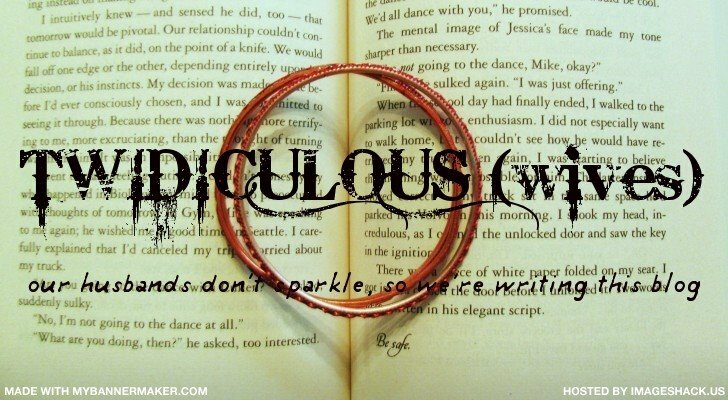 To be honest, I hadn't read the books yet at that point and was attempting to mock her with it. Of course, now I know better!